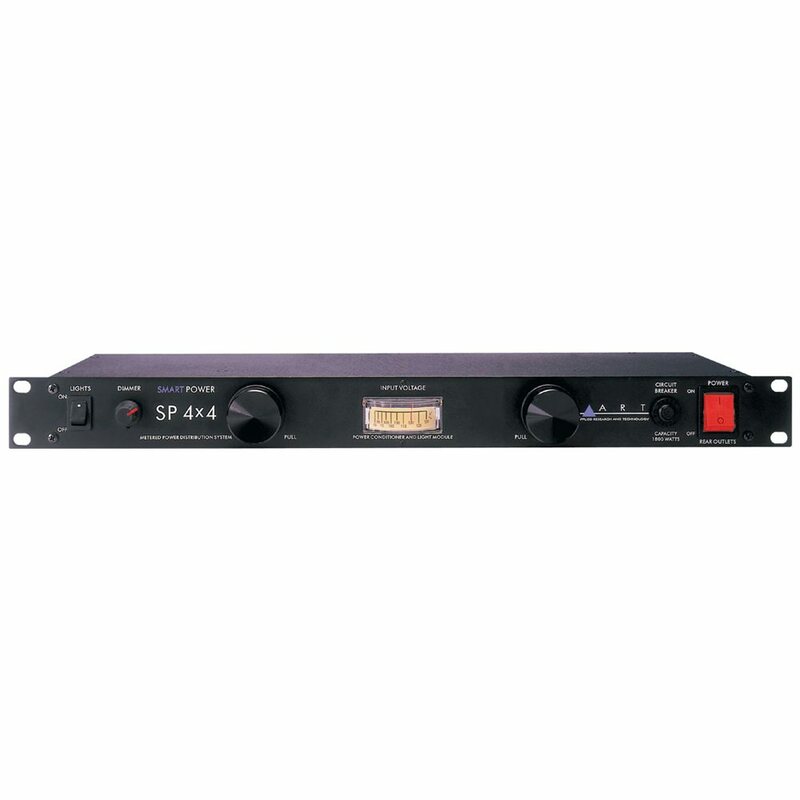 The SP 4x4 features a backlit linear meter to monitor input voltage, which gives the user a familiar analogue style readout when monitoring voltage from a power source. The SP 4x4 also features ART`s "4x4" distribution on the back of the unit -- four of the eight rear outputs are 1.25 inches apart. This allows the user to plug in wide power cables and multiple wall wart devices, and still have eight total power outlets to choose from. Built into the SP 4x4 is a surge and spike protection system, designed to protect powered equipment from harmful electric surges and spikes. The unit also has RFI and EMI filtering, a 8A breaker, and a total power capacity of 1800W. The SP 4x4 also features a front-located on/off power switch (which lights up when turned on), and a front-mounted circuit breaker reset switch. The rugged, all-steel 1U chassis. Applications for the SP 4x4 include Live Sound Systems/PA, Permanent or Fixed Installations, Church, Club and Practice PA Systems, DJ Sound Systems, Home and Project Recording Systems, and Monitor Systems.